The Power Stretch Childrens Dance Company! 10 Children, ages 5-12 will be selected to form the Power Stretch Kids Dance Company. 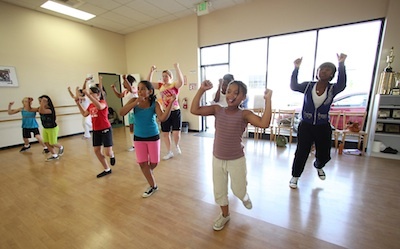 We will use dance to help build self-confidence and positive self- expression. ALL levels welcome. The company will train one day per week after school and every other weekend. Children will learn how to express themselves through dance. The style of dance will mostly be street jazz. We will train the children the importance of positive expression and have a performance quarterly. In addition, the public will be able to book the children’s group for corporate events, birthday parties. Etc… The children will also have a chance to get paid for these events. Company dues are $50/month which includes the following: Company Apparel, monthly stretch class, all training.